The researchers believe this technology is best used in implantation systems, in vivo and in vitro drug delivery, and current μ-TAS applications where interconnects are desired to connect electrical chip components to the human body. 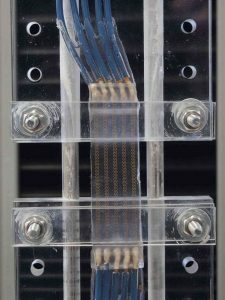 A key issue in creating stretchable electronics is creating stretchable interconnects. 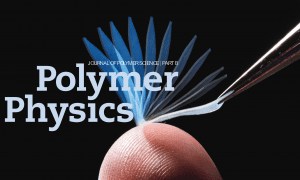 Writing in the Journal of Polymer Science: Polymer Physics, Jan Vanfleteren and colleagues introduce a new and economical method for fabricating highly reliable stretchable interconnects using thin film technology in biocompatible elastomers. 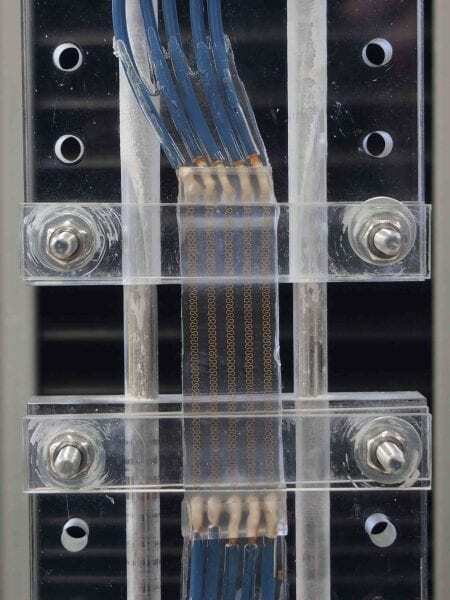 Previously, stretchable interconnects have been pursued through carbon nanotube arrays or metals. Carbon nanotubes permit high elongations, but suffer from higher track resistance, while metal interconnects are more reliable. 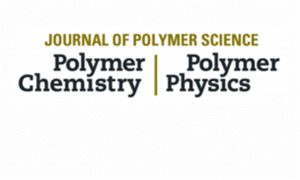 The researchers chose to study polyimide supported gold tracks because of gold’s biocompatibility and polyimide’s increased reliability. The technique used allows the fabrication of highly reliable and at the same time fine pitch stretchable gold interconnects using standard thin film technology. This technique was tested with a mechanical cycling test. “This technique is a relatively more cost effective and straight forward method in comparison to the state of the art in the literature. It allows interconnection between standard electronic components and ultra-thin chips with dynamically stretchable (i.e. elastic) electrical interconnections,” explains Vanfleteran. The researchers believe this technology is best used in implantation systems, in vivo and in vitro drug delivery, and current μ-TAS applications where interconnects are desired to connect electrical chip components to the human body. The tracks can be designed to meet requirements based on size, elongation, and ohmic resistance depending on the application. 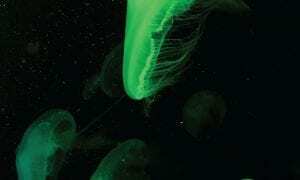 “We are planning to use this technique to fabricate stretchable interconnections for in vivo microsystems, and to combine it with microfluidics technology. The elasticity of the PDMS together with good reliability results of the [gold] interconnects can be used to drive electrical micropumps, valves and other electrical circuitry,” says Vanfleteran.